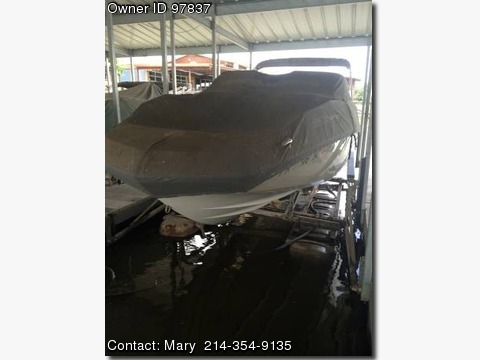 Please contact the owner directly @ 214-354-9135 or mpmcuttingpartners@yahoo.com…2009 Sea-Doo 230 Challenger in White/Salt colors. This one owner boat has very few hours on the Twin 155 Rotax inboard engines (310 total HP). Direct Drive Jet Propulsion system gives you the piece of mind that comes with no exposed props and improved visibility. This 23&#39; 6&quot; hull handles great in all types of water conditions! No worries during the winter months either, this boat requires no &quot;winterization&quot; and is ready to go all year round. Package includes all Sea-Doo standard features plus: Karavan, custom Sea-Doo black tandem trailer w/disc brakes &amp; spare tire mount w/tire. Also, a custom Sea-Doo 230 Challenger Mooring cover, Dual batteries, anchor w/ line, white fenders, bimini top, cockpit table that can be placed in three separate locations, adjustable height driver&#39;s seat, snap in carpet, retractable windshield w/ fold n stow walk thru door, am/fm/cd/mp3port stereo which has already been wired for Sirius XM radio w/remote in the cockpit, 5 coaming boxes with plenty of storage and the list goes on! Many more features included with this boat including ski vests, ski rope, two tubes with line, etc. This boat is CLEAN &amp; ship shape! Boat has been kept on the trailer or on a hydro-hoist lift on Lake Granbury.